Beach in the afternoon; sun kissed skin, sharp salty taste of the sea, evening breeze in your hair and the cries of seagulls swooping around the rocks. 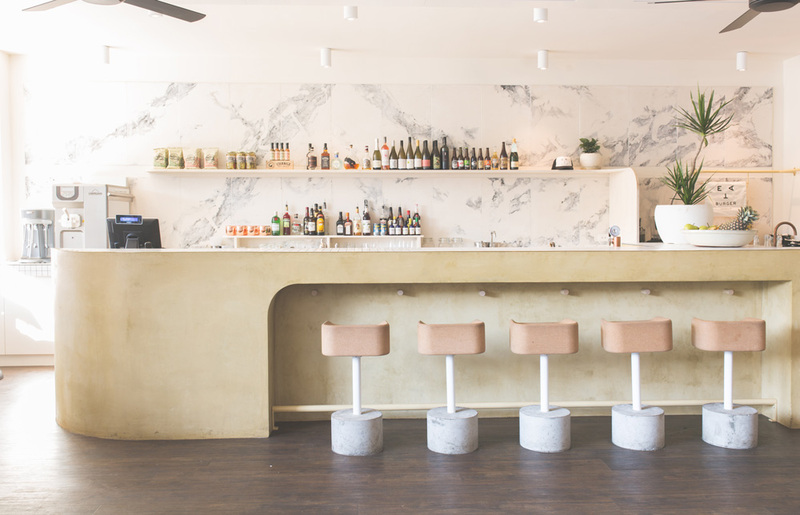 Steering away from the typical burger cliches, 'Eat Burger' celebrates the nostalgia of summer, the things synonymous with Australia. Considered interiors are about the feelings and experiences they evoke, as much as they are about the resolved, sustainable & effective solutions to practical design problems which met the clients briefing and budgets. This belief remained the driving force behind our concept; the use of skilled photographers and artisans to create an evocative interior became an essential part, if not the very essence of the build.
" 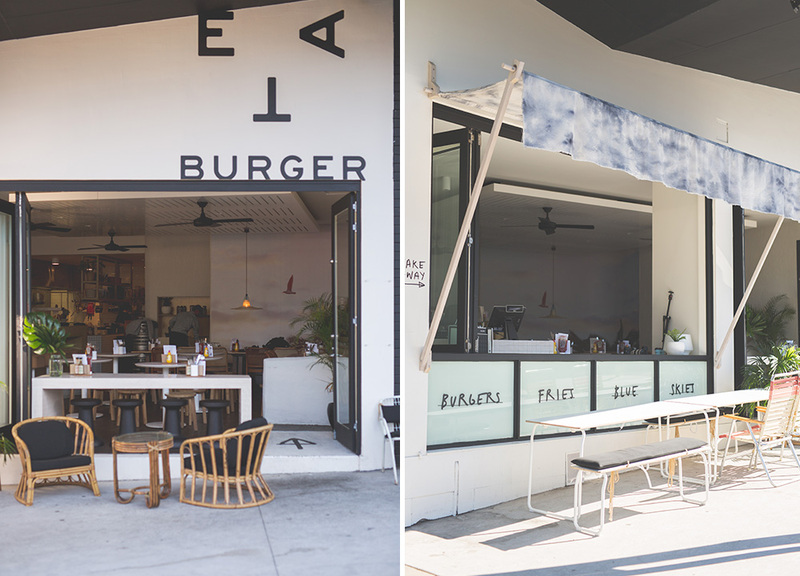 What we liked about Eat Burger was that it's genuine. 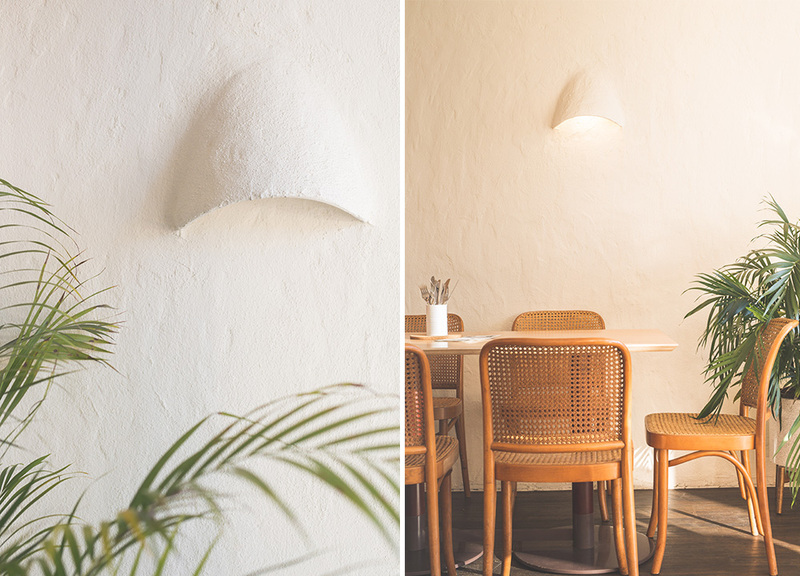 We saw a lot of 'big money' projects trying to imitate something authentic and genuine and simple, where as we believe this project was achieved on a low budget, but they have still included some really nice detailing. It feels fun, it feels relaxed, and doesn't feel like anybody tried too hard, yet the overall effect is great. 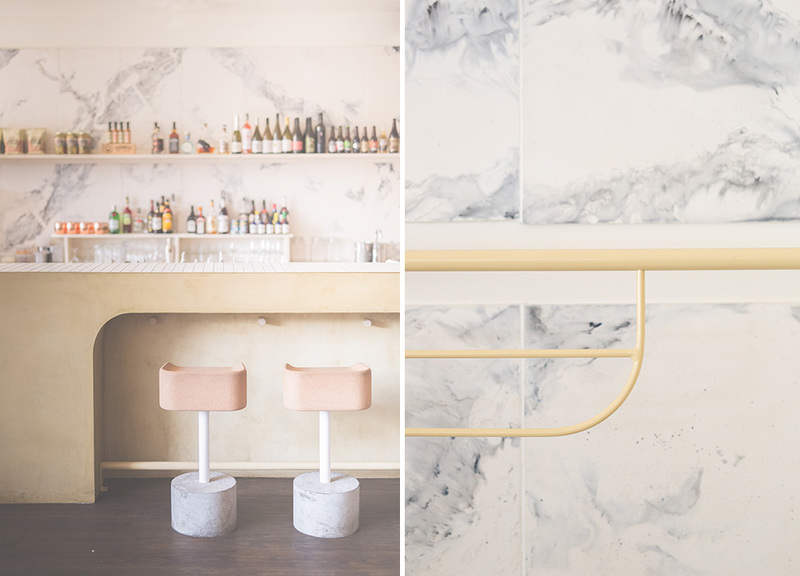 We loved the detailing to the front of the bar, the concrete blocks on the stools, and the branding; it all just feels fresh and new, and we like that. "